Over the weekend, I attended Family Share Day at the Center for Creative Youth. The Connecticut Regional Educational Council (CREC) runs this 5-week residential program at Wesleyan University for high school artists and they are completing their 34th year. When our oldest daughter announced that she wanted to go there, the five weeks was the part that stood out for me. Five weeks??? An older classmate inspired my daughter to apply, telling her that the program had changed her life. As Larkin went through the audition process, I continued to hear accolades from several of my colleagues and friends who had attended or had known someone who had attended. "That program inspired me to become a professional artist," one of our music teachers told me. Needless to say, when Larkin was accepted, she went. At Share Day, the talent at CCY impressed me. CCY offers ten different majors, ranging from creative writing to visual arts to musical theater and students attend from all over the country--one student comes from France. Within each discipline, students presented what they have been learning. Larkin taught us a line drawing class before touring us through the art gallery and sharing her portfolio with us. (I will share with all of you readers that you can draw a person much more successfully if you first sketch the lines and the body should be seven times the length of the head!) The variation and the caliber of the gallery work was amazing. We also went to the film-making and musical theater presentations and their work and presentations were just as impressive. However, the attitudes and culture of this program were my greatest take-aways of the day. When Larkin talked to us about her work and the work of her peers, she talked about the process. She critiqued her pieces, wondering about the use of color and whether some of the proportions were off. She explained to us that when doing the self-portraits, the instructor had wanted them to try different angles or viewpoints than they normally would. At the end of the musical theater presentation, there was time for questions and someone asked the students what they had gotten out of the program. I was surprised at how many of them wanted to answer that question. They talked about the safe place the program offered them to take risks, the inspiration they received from each other's talents, the level of teamwork, and the commitment they felt to bring their learning back to their home schools. During the afternoon, the students shared projects, performances, and work from their non-majors. On a stage, in front of each other and in front of each other's families, they performed highly emotional poetry, demonstrated ballroom dancing techniques, participated in combat fighting skits and then danced and drummed West African style. I loved that these teenagers did not only accept each other; they celebrated each other. They bragged about each other, promoted each other, cheered for each other, and garnered inspiration from each other. They also invited each other up to the stage at the end of the shares to try out the art form. On the stage, they made mistakes and laughed at themselves in front of peers and the audience. I wondered as I sat there if they would take these skill sets back to classrooms in the fall. The lack of self-consciousness and inhibitions was so powerful for their learning processes! Like many educators, I worry about maintaining quality arts programs in our schools given the combination of financial pressures and academic mandates. As a member of the Board of Education, I know how hard we work to keep cuts away from music, art, and theater. However, I also know that we pay close attention to class sizes and any data that indicate that our students are not experiencing quality instruction in the core subjects of reading, writing, math and science. Having watched the students of CCY perform yesterday, I am convinced more than ever to protect and promote quality arts programs. I have always seen the value of the arts in promoting creativity, innovation, self-reflection, collaboration, and communication. Yesterday, I loved watching the diversity, acceptance, honesty, and appreciation these young people had for each other's talents, choices, and differences. Yes, their creativity may lead not only to more beauty in our world but also, these humanistic qualities will help them to promote key tenets of democracy. CCY emphasizes leadership and Program Director Nancy Wolfe truly challenges these young artists to find ways to become ambassadors for the arts. Huge applause to her and her faculty for the amazing program and the commitment and focus on preserving CCY and programs like it for future generations. A Quick Guide to Reaching Struggling Writers by Colleen Cruz for grades K-5 (part of the Teachers College Reading and Writing Project Workshop Help Desk Series). This book is short, but jam-packed with ideas we can put to use right away in our classrooms to help all writers. In this book, you will find strategies to help students who say, "I'm not a good writer," "My hand hurts," "I don't know how to spell," "I don't have anything to write about," and the famous line "I'm done." 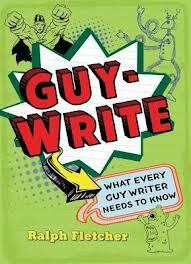 I love all of Ralph Fletcher's books so needless to say, I was very excited to get my hands on his new book, Guy-Write! This book is full of strategies from various authors and for all different genres. Although this book is geared toward boy writers, the strategies can be used by all writers in our classrooms and during our instruction too in mini lessons, conferences, and small groups. I already tabbed parts in the book that I want to refer to in my instruction in writing workshop. Some of the parts I marked focus on: zooming in on important parts, describing the setting, showing emotions rather than telling, the importance of using a writer's notebook, revising, and editing. I also marked the interviews with Jarrett Krosoczka and Jon Scieszka since students love their books and will be eager to hear about their point of view on writing! This book has been in my TBR for about a week, after reading such great reviews about it on Twitter and blogs I follow. On Saturday, I read a tweet by Susan Dee (@Literacydocent) about how much she loved Laugh with the Moon, so I told her I was moving it to the top of my TBR stack. I have to admit that it didn't stay at the top of my TBR stack for long because I couldn't resist picking it up to find out how good it really was. I read it in one sitting on Saturday and couldn't put it down once I started it! Thank you Susan for tweeting about how much you loved it! Laugh with the Moon is a beautifully written story about a 13 year old girl, Clare, who lives in Massachusetts in the present day with smart boards, cell phones, and state testing. She dreads having to travel to the jungles of Africa for 9 weeks with her father, who is a doctor, so he can treat people living in the villages. She hates leaving her friends during the school year and leaving her house where her memories are of her mother. After giving her father the silent treatment and pouting, her beliefs and mindset begin to transform through her experiences with the people living in Malawi. This is a powerful and important book that raises our level of global awareness of life in other countries and parts of our world. In the author's note, Shana Burg describes her own visit to Malawi and how that helped inspire this story. The author's note also gives more information about life, schools, and health in Malawi which is devastating, but inspiring at the same time knowing this important story is going to reach so many people. Thank you Shana Burg for bringing this story into our lives and increasing our awareness. I've had a great week of reading, combining some professional books with several books that have been on my TBR from various recommendations, many from the great connections that Jen and Kellee provide through Teachmentortexts.com. As always, thanks so much for hosting this Monday ritual! Dragonbreath by Ursula Vernon caught me by surprise with humor and some serious character issues. Some of the jokes in this book really appealed to adult readers in a way that reminded me of a Disney movie--Schreck comes to mind! I am definitely giving this one to my nephew who is a tough-to-engage-in-reading third grader. Lunch Lady and the Summer Camp Shakedown by Jared Krosoczka also provided me with some good laughs. I still prefer a traditional narrative but I did appreciate this graphic novel. For students who don't love to read, graphic novels provide strong story lines and many opportunities for inferencing and interacting with text. This is another book I will share with my nephew! Duck on a Bike by David Shannon is hilarious and a great mentor text for patterns. I've been reading the mentor texts for our younger elementary students. My daughters, who are older, heard me laughing when I read this one and they agreed that it is a really funny book. I finally got to Hound Dog True by Linda Urban which had been on my list for a while. I loved that the main character is a writer and there are many mentor text opportunities in this book to help writers learn to develop characters and weave small moments into a larger plot. I re-read Wonder by R.J. Palacio with my 10 year-old. If you haven't read this one, it's so worth it. I loved it just as much the second time. As I am writing this post, my twelve year-old is reading Wonder next to me. Occasionally, she chuckles or comments on the relationships and events. An amazing book! Hard to believe that it's the last week of July. Enjoy your summer reading! As I have written in previous posts, I worked hard this year to go as paperless as possible in the classroom with planning and conferring. I also have gone almost entirely paperless with grading - no more gradebook binder to cart around. To go paperless with grading, I use charts, rubrics, and tables I create using Word and save in my Dropbox or Evernote so I have access to it at all times. 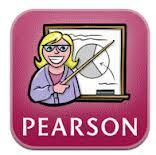 In addition, I downloaded the free PowerTeacher app by Pearson School Systems for the iPad. Since my school district uses PowerSchool, all the information syncs automatically with the information in the PowerSchool database into the PowerTeacher app. All I had to do was type in my school district, school name, my name, and password and it automatically sets up my class roster with names and photos of the students, parent contact information, and birthday information. Through PowerTeacher, you are able to personalize your grade book by naming assignment categories and color coding the categories. You can choose if you want to use points, percent, or letter grade for each grade. You can also write in comments along with the grades - this part I love since anecdotal notes mean more to me personally than just a letter or number. If you write a comment along with the grade, a little "C" appears next to the grade to remind you that you wrote a comment. When you input grades, you can check off if students are exempt, absent, or late with the assignment. The app does have its downfalls, but overall it is a helpful tool to organize grades online. The downfalls are: you can only access it via your iPad or your school computer if your school as PowerSchool, you are limited to the regular letter grades and can't change it to other letters that your district may use for approaching/meeting/exceeding expectations, and the point system is only out of 10 points total. So I tend to create my own online documents through Dropbox or Evernote to fit my needs in areas where PowerTeacher might not be the best choice. The app is free, so definitely check it out especially if your school uses PowerSchool because it is so helpful to have everything sync automatically. I also find it helpful to have access to student and parent information when I'm at home so I have it at my fingertips if needed. I just accessed it yesterday to see my new class list for 2012-2013 and was able to see their photos, get basic information about birthdays, and parent contact information. I'd love to hear your thoughts about the app if you use it and also any other apps or systems you use for grading. I know we all don't like to give grades, but unfortunately we still have to since many of us have to input the scores into an online database and give report card grades three times a year. So please share if you have any other tools or apps that you love to use! I have been a stalker of Teachers Write this summer. (Thank you, Kate Messner, Jen Vincent and Gae Polisner for this amazing idea and implementation!) Teachers Write is a virtual community of writers that Kate Messner initiated. She has inspired hundreds of people to post, comment, share pieces of writing, reflect, and encourage each other in writing and in teaching writing. If you have not checked out some of the suggestions, posts, and comments, I recommend them highly for anyone with an interest in any aspect of writing. My initial plan when I saw what Kate and other writers and teachers were organizing was to participate. However, I got sidetracked by the writing that it inspired me to do under my own roof with my family. Instead of summer of Teachers Write, we have had a summer of Families Write. For those of you who don't know me, I have four daughters, ages 16, 14, 12 and 10. In previous summers, I have made sure to read with them, emphasizing library and bookstore trips as important parts of their vacations. This summer, I am making more of a point to write with them. I explained the concept of Teachers Write and Writing Workshops to them and, yes, I wanted to do them every night; for the first few days, we were compulsive about it. Now, at the midpoint of the summer, we are probably averaging four nights a week. Not everyone is always here so there are different combinations of family members. Even my husband has gotten into writing vignettes from his day! He may turn into a memoir writer. Are you going to grade us? I do enough writing in school. What if we have something else to do? Do our friends have to do it when we have sleep-overs? In the classroom, teachers of writing experience student writer prototypes. The variation of prototypes within my own family has fascinated me. Stay tuned for posts about specific daughters and their experiences. This week, I have dedicated much of my reading to professional books in my TBR stack. 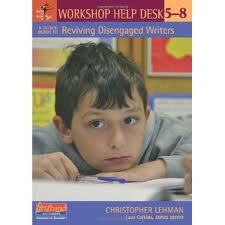 One of the books I read and loved is A Quick Guide to Reviving Disengaged Writers by Christopher Lehman. 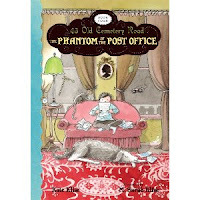 This book is part of the Teachers College Reading and Writing Project Workshop Help Desk Series. If you have not read any of the books in this series, I highly recommend that you check them out soon because they are so helpful and are geared for students of all ages. This book is short, but jam-packed with ideas you can use immediately in your classroom to help students who are disengaged in writing workshop and to help ignite the passion for writing in all students. Although this book is labeled for grades 5-8, the ideas can be used for both older and younger students. We all have those writers who will do anything and everything to avoid writing during writing workshop. They will go to the bathroom, sharpen pencils, pretend to be looking for something they need, chat with others, and the list goes on. This book is written with these kids in mind and is filled with ideas and strategies we can use to help students who: avoid writing, talk instead of write, have writers block, and need constant reassurance. Throughout the book, you will find: helpful charts, samples of recording sheets, examples of conversations with students in mini-lessons and conferences, and strategies that have been tried successfully in classrooms. Each chapter is set up with a bulleted preview of how the chapter may help you as well as a bulleted list at the end of each chapter to remind you of the key ideas from the chapter. Introducing and referring to revision as experimenting with our writing, rather than correcting it and "making it better." I like the word "experiment" when talking about revision because it encourages the writer to try something new with their writing, rather than being told that their writing doesn't have______ and they need to "fix" it by adding it in. Telling students their writing doesn't have ______, gives the impression that their writing isn't "good enough" and it needs to be "fixed" and made "better". This will burst some of our writers' confidence and may increase their level of disengagement. Varying demonstration texts we use as teachers to model our own writing instead of always writing stories with deep emotion or about a certain time in our life. I have worked hard to collect stories in my writers notebook from my childhood so students could relate to them instead of writing stories from adulthood, but I need to work harder at varying the types of emotions in my writing. For example, I was very close with my grandfather as a child so almost every moment and essay I write, is about him. Most of my writing has deep emotions about the times we shared together and how he was always there for me when I needed him growing up. In addition to all my writing about Papa Joe, I also have stories I share about getting in trouble at school, feeling accomplishment after working hard to learn something, and getting teased in school. After reading this part of the book though, I realized that I am missing humor in my demonstration texts and need to have some writing that is just plain funny to tap into those students who have funny stories to share. Also to tap into students who may not have close relatives or are ready to share deep emotions in their writing. Creating a designated partner spot in the classroom where writing partners can meet to talk during writing workshop while others are writing. In my classroom, writing partners meet at the end of writing workshop to share and talk with one another, but they sometimes want to talk during writing workshop too. So I have writing partners sit near one another while writing in case they need advice or have a question for their partner. However, some writing partnerships take advantage of this privilege and do more chatting than writing. Some writers who need a quiet space to write also get distracted by nearby conversations. So when I read the idea that Chris Lehman shared about having a specific spot in the classroom for writing partners to meet while writing, I loved it. In chapter 3, Chris shares ways to set up this routine and area in your classroom as well as a recording sheet partnerships can fill out if they use the partner spot during writing workshop. If a partnership needs to talk, they go to this partner spot to have their brief conversation and before leaving the spot, they complete the recording sheet hanging up in the area (Names, Purpose of Conference, Where someone can see benefits of this conversation, and date). Having this partner spot will cut down on the chattiness throughout the room, reinforce the purpose of a partner conference, help students who need a quiet space to write, and hold partnerships accountable for purposeful talk. These are just three of my many take-aways from this book. If you have not read this book, I highly recommend that you borrow it, buy it, or add to TBR stack. Thank you Chris for writing this important and organized guide for teachers that is filled with real life challenges we face in our classrooms. Thank you for sharing your passion for writing and experiences with disengaged writers to help us reach our own disengaged writers in our classrooms. A recent New York Times article, Some Books Are More Equal Than Others, inspired me to read books with more global equity issues than I may normally have read. This past week, I have read several powerful books. Sold by Patricia McCormick continues to haunt me because it tells the fictionalized story of a young girl sold into prostitution in India during this time period. My teenage daughters are frequently looking for social causes and this is a book that really should inspire them to help stamp out whatever truth lives within the pages of Sold. Another favorite of the week was The Lions of Little Rock by Kristin Levine and I have to say it was as good as my expectation. So many of you have read this and recommended it! I love a book that makes me want to jump into the pages and interact with the characters and this one definitely had that effect on me. Thanks to Jen and Kellee of Teachmentortexts.com for hosting and to all of the recommenders! I really look forward to the Monday posts. This is the second week of our #CyberPD conversation about Opening Minds by Peter Johnston. Thank you Cathy Mere for hosting last week's conversation on your blog. This week, we are discussing chapters 4-6 and Jill Fisch is hosting the event on her blog My Primary Passion - thank you Jill! Next week, Laura Komos will host our final reflection of the remaining chapters. Chapter 4 resonated with me more than some other chapters because many of us can probably say we are guilty of saying, "Good Job" or "I like how..." and according to Johnston this is the opposite of the kind of feedback we should be giving children. I often hear teachers say, "I like the way..." or "I like how..." to try to build confidence and to encourage other students to correct their behavior. This kind of feedback, however, does not promote learning but is person-oriented praise rather than process-oriented praise which we want to give. Johnston's line on page 38 struck home when he said, "saying 'I'm proud of you' has the same effect as saying 'I'm disappointed in you.'" This made me realize that when we say, "I like the way..." we are giving other students the impression that we don't like what they are doing and the feedback is in the form of a judgement. Also if we say, "Good job" to one student but then say, "Excellent job" to another student, how does that make the first student feel? I admit I am faulty of using person-oriented praise at times and am going to work extra hard this year to give productive feedback that is process-orientated. I am going to take Katie Dicesare's idea of creating "cheat sheets" of some of this language until I fully internalize it. "Could you think of other ways that would also work?" On page 48 in Chapter 4, I love the line, "The purpose of feedback is to improve conceptual understanding or increase strategic options while developing stamina, resilience, and motivation - expanding the vision of what is possible and how to get there." I love how Peter Johnston suggests that we maybe call it feedforward instead of feedback - makes so much sense since our goal is to move students forward in their learning process. To read more reflections about Opening Minds by Peter Johnston, please be sure to visit Jill Fisch's blog and Cathy Mere's blog. Laura Komos will be hosting #cyberpd next week on her blog for chapters 7-9. Word Wheel was one of the first apps that I used with students. Students play this app by spinning two "wheels." One wheel has pictures of everyday words or animal words and the other wheel has the words that correspond to the pictures. The program includes an option for customization as well, if parents or teachers want to add specific words and recordings. After a few correct answers, the children receive a short reinforcer which can also be customized. While this app is recommended for pre-schoolers and kindergartners, my older students with learning disabilities loved it as well. For $.99, Word Wheel has many ways to differentiate. Within the settings, there are beginning to advanced levels and the program fades out picture cues. When my students first started to play, they loved the shadowy pictures underneath the words, but my data would say that these pictures helped them learn how to read the words! As they played more, I changed the settings so that they received less prompting. What really impressed me was that my students were able to generalize their knowledge of these sight words in other reading settings. I did not explore the customizing options for this app but I will be! If anyone out there has developed their own Word Wheel lists, I'd love to hear about them. In the meantime, even with just the lists of animal words and everyday objects, this app is worth the dollar. Thank you Cathy Mere, Jill Fisch, and Laura Komos for organizing this #CyberPD event schedule for Opening Minds by Peter Johnston. Please visit their blogs to read many powerful posts about Opening Minds and to find out more about this #cyberPD that is currently in process on blogs and Twitter using the #cyberPD hashtag. I have read and reread Choice Words by Peter Johnston and always come away with new learning and a-ha moments. It is a short book, but jam-packed with ideas that impact the language we use in our classrooms to build positive learning communities. Since reading Choice Words helped me see how powerful words can be and that our language is a powerful teaching tool, I was thrilled when Peter Johnston's new book Opening Minds was published. I was so excited to read it, that I immediately downloaded the e-Book version to avoid having to wait for the shipping. I have read the book twice so far and know that I will be rereading parts over and over again until I internalize the language. I read and loved reading Mindset by Carol Dweck and shared the concept of fixed mindset vs. growth mindset with my students this year. It was so powerful to share the concept with students (click here to read more about how I shared it with students). I love how Peter Johnston discusses the important concept of mindset in Opening Minds and how it relates to the language we use in our classrooms with students. For example, when we say,"I'm not good at.." or "You are good at.." or "You are so smart at..." we are modeling fixed mindset attributes. Johnston explains in chapter one that saying someone is smart is just like saying someone is dumb and we would never use the word "dumb" when speaking to students. Changing our statements from "You must be smart" to "You must have worked hard" models a learning frame of mind rather than a fixed frame of mind. Instead of saying, "I'm not good at..." we need to use the word "yet" to emphasize the fact that we need to work hard and practice the skill to continue to grow as a learner. "I'm not good at this yet." This word is small in size but powerful in meaning. Using the word, "yet", is the difference between seeing intelligence as a fixed character trait and as something that grows with learning. By saying "yet", we are acknowledging the fact that we are in the learning process and are still working on strengthening this skill/strategy. I need to practice using this in the classroom when referring to myself because I have a habit of saying "I'm not good at drawing" when in fact I never practiced it in my life or even tried to because it never interested me. So instead of asking students to draw something because "I'm not good at drawing", I can say, "I'm not good at drawing this yet because I still need to practice." Our goal is for students to say, "I'm not good at this yet" and to take the necessary steps to change that. Yet is a key word and needs to be modeled and emphasized in our classrooms so it becomes internalized by our students and us. "Our language choices have serious consequences for children's learning and for who they become as individuals and as a community (pg.7)." Our language needs to show students that we believe things are changeable because if they can't be changed then working hard and practicing is pointless. We need to model and show students that working hard and trying helps us grow and change as learners in all areas. Learning is a process, not a fixed trait of being smart or dumb. To help increase students awareness of the learning process, we can ask, "How did you do that?" How did you figure that out?" These questions get students to think about their thought process and therefore the learning process. As teachers, we also need to model that making mistakes is part of the learning process and that it is okay to make mistakes because we learn from them. I love the line on page 3 when the teacher says, "I make mistakes just like you." She made it clear to her students that when you make a mistake, you fix it and learn from it. This is an important message to make clear in our classrooms to help create a safe learning environment where students feel safe to make mistakes, go out of their learning comfort zone, and take risks as learners to continue to grow. Thanks to all of you out there for so many recommendations to keep my TBR stack high this summer. I shared the teachmentortexts.com website with our local librarian and she is a new fan so keep the recommendations coming; she is using them to help her put together orders! I dedicated a lot of my reading time to professional reading this week but one of my favorite fictional reads was The Absolute Value of Mike by Kathryn Erskine. Because my ten year-old daughter struggles with math and the main character has dyscalculia, I picked it up at the book store and read it before I gave it to her. While the struggle with math was not the main force of the plot, this book has many issues and messages! With humor and an engaging plot, this book offers opportunities to talk about resilience, acceptance, initiative, priorities, and even global struggles. 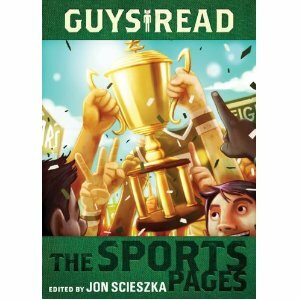 I'd recommend it for boys and girls as a read-aloud or a great independent read for upper elementary students. Enjoy the pace of the summer and happy reading! Two books I enjoyed reading this week are Third Grade Angels by Jerry Spinelli (will be published in September by Scholastic) and Call Me Hope by Gretchen Olson. I was fortunate to receive an ARC of Third Grade Angels by Jerry Spinelli at Book Expo in NYC last month. I have always loved reading his books so I was excited to pick up his newest book to read. This book is the prequel to his book Fourth Grade Rats and is about George, known as "Suds" to his friends, who is just entering third grade. His third grade teacher, Mrs. Simms, starts the first day of school by explaining what "third grade angels" mean from the famous rhyme "first grade babies, second grade cats, third grade angels, fourth grade rats." She tells them that they need to earn their "halos" to be "angels" in third grade and that she will be honoring one student each month who has earned "the halo". Suds is determined to be the first student who earns the halo because he always strives for perfection. The ending as a surprise twist when Mrs. Simms honors a student to receive the first "halo" - will all the good deeds Suds did pay off or will he learn an even better lesson than just receiving "a halo". I loved the ending in this book most of all because it teaches the reader an important life lesson. 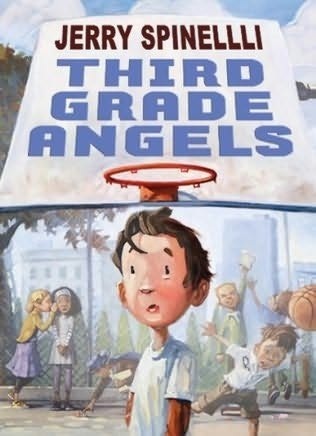 Third Grade Angels is a good story for students in third grade and up. It will also be great for students to read both Third Grade Angels and Fourth Grade Rats and think about the characters across both texts. 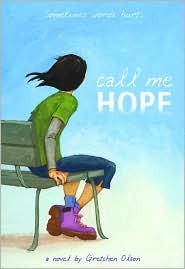 Call Me Hope by Gretchen Olson is a powerful read about Hope, an 11 year old girl, who has a verbally abusive mother. She is very unhappy with her home situation and finds comfort through reading about Anne Frank in The Diary of Anne Frank. Hope even sets up her closet as a secret hideaway and creates a point system which gives her points every single time her mother says mean things to her, which is a lot. At times, she wants to run away and wants to confront her mother about her mean and hurtful words. Since the mother is verbally abusive, there is some language in the story that you should be aware of before putting in the hands of middle grade students. This story brings forth a home situation that some students will be able to connect with unfortunately and also brings awareness of this issue to all readers. It is heartbreaking that some children have to live in environments with such hurtful language. At the end of this story, Hope does give a strong sense of hope to readers and children who may find themselves in similar situations. This is a powerful and heartbreaking story with an inspirational ending that will touch many readers. To see what other people are reading and recommending, please check out Jen and Kellee's blog Teach Mentor Texts - thank you Jen and Kellee for hosting each week! In May, I wrote a post about the BookCrawler App and received some questions from colleagues about whether or not it "talked" to Goodreads. Yes, the two apps do "talk" to one another without having to load books you have read or want to read into both apps. If you have the Book Crawler app, just click on the tab labeled "Community" and click on the green icon on the top of the screen. Then you will be given the option to sync it to your Goodreads account. You will be able to either download your books from Goodreads to Book Crawler or vice versa. If you have a Goodreads account already to log your books read and create lists of book you want to read, definitely download the free Goodreads app for your iPad/iPhone. If you don't have a Goodreads account, I highly recommend that you create one as soon as you can because it is so helpful and all free. Through Goodreads, you are able to create as many bookshelves as you would like to display and organize the books you have read, are currently reading, and want to read. You can also give the books a rating, make a comment, add the date you read the book, and read reviews about the book by other readers. Goodreads also provides you with all of the publication information for each book, a descriptive summary, author information, and a list of other books the author has written. If this all isn't enough, Goodreads also lets you see what your friends are reading, their bookshelves, and their ratings/comments. Goodreads is a great way to log books, organize your reading life, and share your reading life with others. This upcoming school year, I would love to find a way to have students log their own reading in a similar way to Goodreads. To create a Goodreads account, you need to have an email account, so this makes it tricky because it wouldn't be a viable option for all students. If anyone has used Goodreads or something similar online, as a way to have kids keep purposeful logs of their reading lives, I'd love to hear how you used it! 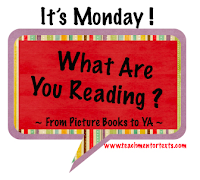 Today I'll be heading to the library to replenish my book stack and I thank Jen and Kellee of teachmentortexts.com for hosting the weekly what are you readings as I will use all of the recommendations and links from their website to help guide my choices. My daughter and I finished Of Mice and Men by John Steinbeck (yes, the one you read in high school) since she had to read it for her summer reading. (See my 7/4 post for some of my thoughts about that reading assignment!) I forgot what a master of description John Steinbeck is! If you want to find any mentor descriptions of settings, he includes one at almost every chapter beginning. Additionally, when Lenny kills the puppy, there are amazing opportunities for teaching inference. Talk about the power of what is not said! I am almost finished with War Horse by Michael Morpurgo and I recommend it for many reasons. Since the story is told from the horse's point of view, a technique that reminds me of Black Beauty, War Horse offers a great opportunity to discuss perspective as a story-telling tool. Kate Messner talks about perspective a lot in her summer program, TeachersWrite!, and it's such a great topic for discussion for both readers and writers! This book also will appeal to girls and boys in upper elementary grades--the girls because of the equine perspective and the boys because it is a war story. However, War Horse has many important themes and messages, including loyalty, ethical decisions, and the justification (or non-justification) of war. Professionally, I continue to read and re-read Pathways to the Common Core by Lucy Calkins, Mary Ehrenworth and Christopher Lehman. This book contains so many references to the Common Core and its appendixes that it is slow going for me. However, it contains many important insights for navigating the impending changes and challenges for education. I am also reading Assessing Writers by Carl Anderson. I read this a few years ago so many of the chapters and ideas are familiar. However, I am finding myself saying "I should be doing that!" and "I forgot about that strategy!" in places. My daughters and I have been writing every day and he makes powerful points about initiation and purpose for writers. What an important book for all teachers to read since writing is gaining more and more importance across all subjects! Thank you to everyone who shares their reading every Monday--you all inspire me and provide me with some of my favorite recommendations. Happy reading! This summer, my goal is to read a book a day - thank you Donalyn Miller for inspiring so many of us to read a book a day this summer! 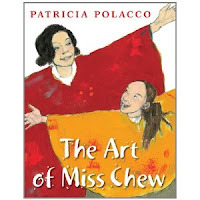 I love all of Patricia Polacco's books so whenever she publishes a new book, it is a must-purchase book for me! This story is about a young girl, Trisha, who spends the summer with her grandmother and discovers a love for art. Her grandmother is an artist and after spending time with her, she know that she too wants to be an artist. When she returns to school, she gets into Miss Chew's special art class that is held at the high school after Miss Chew sees her beautiful sketches. Right when things are all falling into place for Trisha, her classroom teacher is absent for an extended time and the new substitute tells Trisha that she needs to study how to read and write rather than wasting her time on art . 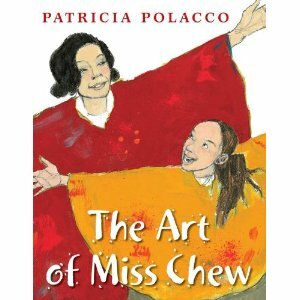 The substitute puts a roadblock up for Trisha, but Miss Chew and Trisha are up for the challenge! This book will be a great read aloud for all ages and will engage students in thoughtful conversations about perseverance, setting goals, passions, and working hard. I am a fan of all the Guys Read books and my 5th graders love them! I was excited to pick up an ARC of this book at Book Expo in NYC last month. This book officially comes out tomorrow, July 10th! My students were even more excited when I brought it into our classroom - there were lines quickly formed by some of the students to read it before school was out for the summer. If you haven't read any of the Guys Read books - I highly recommend them. They are perfect for middle grades and I love how many authors contribute to each book. This is the fourth book in the series and just as entertaining as the first three. I love the humor, play on words, character relationships, and how the books are written in the form of letters. This is a perfect series for middle grades and also reluctant readers. This is also a great series to use for teaching different text structures such as letters, newspaper articles, ads, contracts, and more. The fifth book is called Hollywood, Dead Ahead and there is a little teaser at the end of this book about it. Please be sure to check out Jen and Kellee's blog, Teach Mentor Texts, to see what others are reading and to get more book recommendations for your TBR stacks! Many may say I'm addicted to reading blogs on my Flipboard and tweets on Twitter...and I proudly say they are correct because it is the best professional development I have ever received. I can get this PD daily, right at my fingertips, and it is all free. My online PLN through blogs and Twitter has made the biggest impact on my teaching and reflective practices as an educator and I know it will continue to help me grow as a teacher and learner. Since there are so many thoughtful posts that I come across on my Flipboard and Twitter that I either don't have time to read right then and there or want to keep and reread, I was so happy to find the Pocket App for the iPad/iPhone. 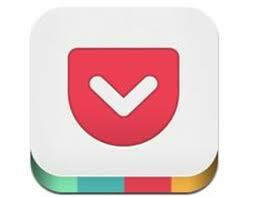 Pocket is a free app and it was previously called "Read it Later", but has been renamed and updated. It allows you to literally "read the post later" by saving the posts, articles, videos, and images into your Pocket - I love the play on words with the title! To save it to your Pocket, you click the arrow on the bottom or top of the post, which gives you the options of: Share Link, Email Link, Read Later, or View on Web. When you choose "Read it Later", it will automatically save to your Pocket. To access all of your saved posts/articles, just click on the Pocket icon on your iPad/iPhone and you will see all the content you have saved in your Pocket. While in Pocket, you can search by Title, create Tags, mark Favorites, and choose viewing options. You can also share the content in your Pocket via Twitter, Evernote, Email, and more. Your saved content will stay in your Pocket until you decide to remove it by clicking the check mark to check it off and out of your Pocket. If you haven't downloaded or used this free app yet, I encourage you to do it soon since it will help you organize your online reading and learning! If you have used it, I'd love to hear your thoughts on the app! One of my daughters will be a freshman in high school and John Steinbeck’s Of Mice And Men is required summer reading. Since school got out, I think that she and her friends have spent more time complaining about this book than reading it! Julia has given me a number of reasons why she doesn’t like it. The plot doesn’t move fast enough--I debated this with her since Steinbeck packs a whole lot of action into a little more than a hundred pages. She doesn’t relate to the characters--I pointed out the universal themes of friendship, loyalty, and ethical dilemmas. The setting is hard to envision--I have to admit that I don’t know many high school freshmen who have ever seen or imagined a ranch bunkhouse. Overall, Julia's reactions to Of Mice And Men really supported many of the points of Claire Needell Hollander in an article that appeared in The New York Times, Some Books Are More Equal Than Others. Hollander makes several points in this article; one that has especially impacted me is her point that students should experience classic literature with guidance. She gave suggestions for summer reading that pushed students in a more global or even argumentative direction. The Omnivore’s Dilemma, The Fast Food Nation, A Long Way Gone, Night, and Hiroshima were some of her selections. Hollander writes that "summer assignments should be about why we need to learn and why we need to talk about what we think." Julia is, by nature, an arguer, but I had to concoct the debates and arguments for Of Mice And Men. I think that she would initiate challenges of my grocery lists and menus if she read the first two books on Hollander's list. And she may be inspired to investigate some of the websites that help young people take action about world injustices if she were to read some of the other selections. I’d love to see some of her energy expended in these ways during the summer when she is not so strapped for time! Because I have been reading Pathways to The Common Core by Lucy Calkins, Mary Ehrenworth and Christopher Lehman, I have been studying and thinking about the goals of the Common Core and what it means to be ready for college and careers. Reading books that challenge our thinking or provide readers with a sense of other cultures and events seems not only more developmentally appropriate, but also more aligned to what is going on in our schools as educators become more responsible for the goals of the Common Core. So much of the Core emphasizes the importance of developing and supporting arguments and stances. Why not provide students with summer reading opportunities that are more likely to tap into these skills? Re-reading this post, I sound a little like I am not a proponent of classic literature. I am. To Kill a Mockingbird remains my favorite book. However, most students need guidance with classic literature in order to understand and appreciate it. Of Mice and Men offers phenomenal opportunities for argument and debates about ethical decision making, but I think that most young teenagers would need direction in order to engage in and develop these conversations. I'm not sure that requiring students to read classics during the summer when most students don't have opportunities to ask questions about confusing parts, discuss universal themes and to recognize what makes certain books fall into the "classic" category. I'm also wrestling with the implications of Hollander's points for elementary students and what books would be equivalent for younger summer readers. Suggestions are always welcome! While I can’t say I’ve been reading a book a day as some of you bloggers out there are doing, I did read a few books this week. I tried to balance some newer books with some older ones. My daughters have many books on their shelves that we have collected over the years and I took some of their recommendations of great reads that I didn’t get to when they first came out. A Crooked Kind of Perfect by Linda Urban was one of the books that my daughter, Clare, put into my hands. I’m sure that Clare initially loved it because of the cover with striped toe socks. (Clare is a sock-a-hol-ic.) Within the cover is the strong first person voice of Zoe Elias. I marked up some passages that would be great for teaching voice and subtlety and, as a writer, I am re-inspired that a novel can take place within a short period of time with everyday issues and fifth grade challenges. Zoe and her family are quirky and memorable with some laugh out loud interactions and other I-want-to-jump-into-the-pages and yell at some of them to make different decisions! I love books that have messages of perseverance, resilience and empathy and this book has all three. If you missed A Crooked Kind of Perfect but enjoy a quick read with a strong girl narrator, I highly recommend it. 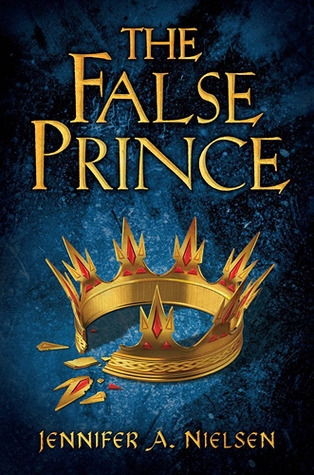 I am not the biggest fan of Fantasy books so when some of my students recommended I read The False Prince by Jennifer A. Nielsen I did hesitate at first...but I am so glad I did! I loved reading The False Prince and am now hooked on the series since this is Book 1 - I can't wait for Book 2 to come out! Now I really know what my students feel like when they get hooked on a series and can't wait to read the next book in line. Goodreads Summary: The False Prince is the thrilling first book in a brand-new trilogy filled with danger and hidden identities that will have readers rushing breathlessly to the end. In a discontent kingdom, civil war is brewing. To unify the divided people, Conner, a nobleman of the court, devises a plan to find an impersonator of the king's long-lost son and install him as a puppet prince. Four orphans are recruited to compete for the role, including a defiant boy named Sage. Sage knows that Conner's motives are more than questionable, yet he must be chosen to play the prince or he will certainly be killed. But Sage's rivals have their own agendas as well. As Sage moves from a rundown orphanage to Conner's palace, layer upon layer of treachery and deceit unfold, until finally, a truth is revealed that, in the end, may very well prove more dangerous than all of the lies put together. My thinking: The characters come to life in this book, especially Sage, and as a reader you empathize and worry about their safety and their every move. The suspense hooked me and at times, I was completely shocked by some of the truths revealed in this story about the characters and events. I love when I am surprised by events and character actions/decisions instead of being able to predict what may happen. This is a suspenseful, action packed story is perfect for students in 5th grade and up and will leave them hanging at the edge of their seats. It will hook readers who crave action, suspense, and adventure.